● Volunteer to be an Envoy, the Foundation’s street team that attends live concerts promoting Memphis music. 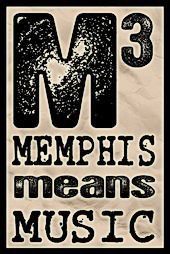 ● Be a part of Memphis Means Music week (October 23-30). Contact us to get a list of ideas on how you can celebrate Memphis music. ● Make a donation to help us continue our work to make sure “Memphis Means Music” decades from now. Big or small, every gift hits the perfect note.